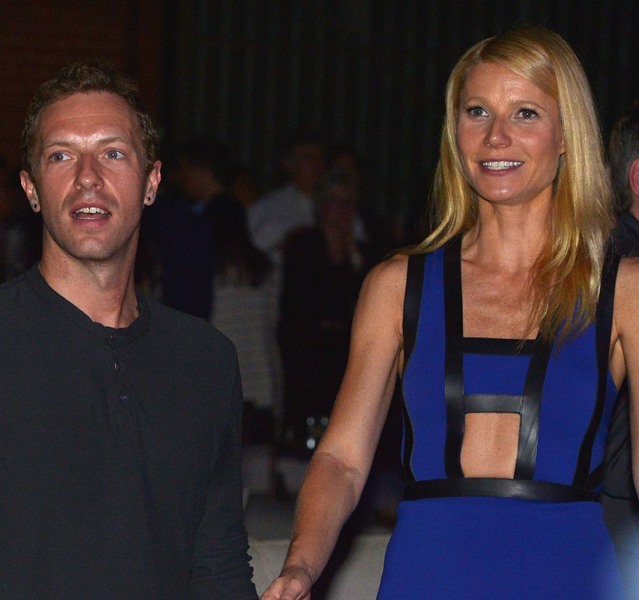 Now that Gwyneth Paltrow and Chris Martin have confirmed that they’re “consciously uncoupling”, everyone is creeping every old photo and everything they’ve ever said about each other – or other people – that could remotely be construed as a clue into their conscious uncoupling. No. I do not think she was cheating on Chris with Donovan Leitch. Click here to see the photos. It was a greeting. And it was at a baseball game. You really think she’d creep out in the open? Don’t get it twisted –when my G creeps, she creeps undercover. The riddles tell you so. Click here for the rest of the lyrics. There are no more lights guiding her home and igniting her bones. No more Fix You? Fine. The easy interpretation is that Magic is for his estranged wife and definitely not for British fashion It Girls. And it couldn’t possibly be about falling in love with one and breaking up with her in a futile attempt to save a marriage. But the song…oh my God the song is bad. For starters, it’s corny as f-ck. And then the way he’s singing it, with a slight Bob Dylan poser inflection now and again over a cheesy easy listening Steve Winwood sound – if I’m G, I’m almost hoping it’s not about me.